This year julavslutning was celebrated for the first time at the Nordic Sea Winey Simrishamn, a good dinner in the company of good friends. This time all had the opportunity to bring their "better" half, subject to availability. So we were in round figures 25 people who let us taste buds of the glories. The evening event went entirely according to tradition with this year's most difficult race, and also quite traditionally, it was signed sole judge. It should be mentioned that he was very cold and hoarse, but the critical gaze was missing yet not. By contrast, the comments might be a bit more discriminating of said cause. This year there were only six grants! Is it because everyone has become better photographers so you simply do not feel qualified to compete? Hardly! Many claimed that they never take bad pictures… But as we all know, it's to "tell lies", but now it is Christmas so we let it pass. Of the six entries submitted so it proved, as usual, that some contributions were just too good to be able to position themselves in this extremely difficult and tough competition. Remember that we are here after looking bad pictures. The demands are high, it does not work with an entirely solid colored paper, there must be at least a hint of image. We want to see spoiled shots, the worse the better. The first entry "was rejected" was a beautiful image of a tillskrynklat paper, which in turn was a picture of something unknown object, Unfortunately, the image was just too good, even beautiful. The photographer had made efforts to the extent possible to displease the judge, which of course in itself is the same as the plus point in this connection. But despite their hard work, this was not bad enough picture. Next image appeared to be taken by the winner of 2015, also the graphic. Therefore, not to say that he normally takes bad pictures, but he has a sense of composition and also the submitted picture revealed a certain thought. Not that you could possibly see the idea as the photographer intended, there was of course a thought. And yes, it was a very bad image, a pair of colored areas on an otherwise white background, nothing to write home about, but there was an even worse picture, although it was tight in riot. Perhaps one could say that it really could be a tie for first place, but they should not be here like Judge, autocratic and silly as he is. Year absolute worst image showing a dirty brown / dirty yellow surface with slight hint of composition, a curve image parts in two parts, upper left quarter are dirt brown and the remaining image, with one exception, shows a dirty yellow surface, no subscription or sharpness may indicate which scene depicted. The exclusion of the dirty fields is a light blue stain. The stain does not reveal a thing about what we see here. 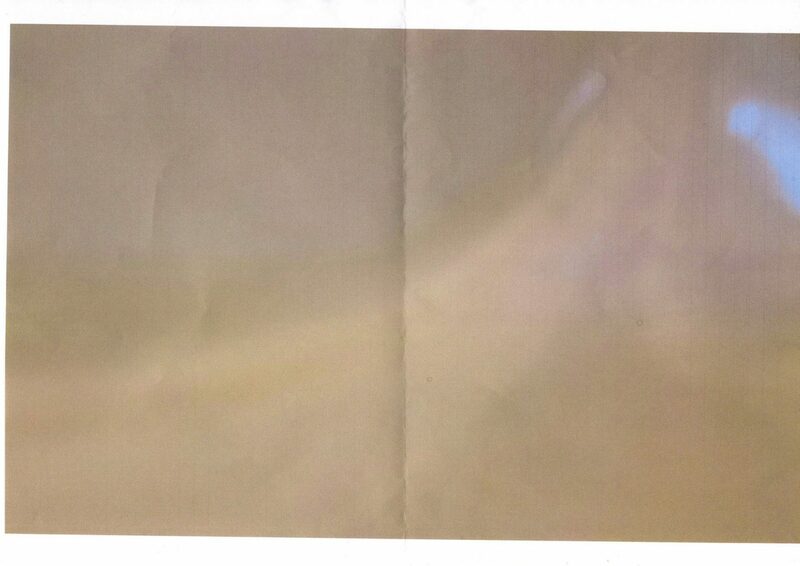 Picture is exemplary printed on premium 80 gram copy papper, All efforts have been, it has not even dried cut away the two white excess pieces of paper. Additionally, the entire print job slightly oblique. So you can really tell that the photographer pains to displease the judge. That is exactly what you should be in this competition. We later got an explanation of all the pictures, and it makes a course concerned, what are you doing in this photo club? The winner had plåtat straight down into a toilet bowl, I'm a little worried about the choice of subjects, but I will not judge. Mona Nielsen resigned with the honorable victory, there was no "Rifo warning" should be added.